Lal ghat Guest House is old haveli overlooking the majestic Pichola Lake, Guest house is lower leaving than many others around. It was one of the originals, and though it's been out-glossed many times over by its competitors, is the right place where to meet other back-packers and to share your travel experiences. It's an old stone building with a new annexes built on the lakeside. Great views from the rooftops of the City Palace, Jag-Mandir Palace and lake. Also has a shady courtyard with a long table- good for getting to know other guests. It's just a place to snooze. You'll likely spend more of your hours in the restaurant area upstairs, an uber-chilled-out zone with little lake-scoping nooks where you can while away days, with a book or new pals. Simply put, this is a great destination for meeting other like-minded backpackers, particularly for outgoing solo travelers keen on a spot of company. Currency Exchange, Backup Generator, Doctor on Call, Parking, Recreation, Disabled Facilities, Laundry Facilities, Catering, Doorman, Complimentary Newspapers in Lobby. Complimentary Newspaper, Air Conditioning Room, H/C Water, Daily Room Cleaning, Attached Bathroom, Balcony / Terrace, Complimentary Toiletries, Basic Bathroom Amenities, Desk, Television Room. 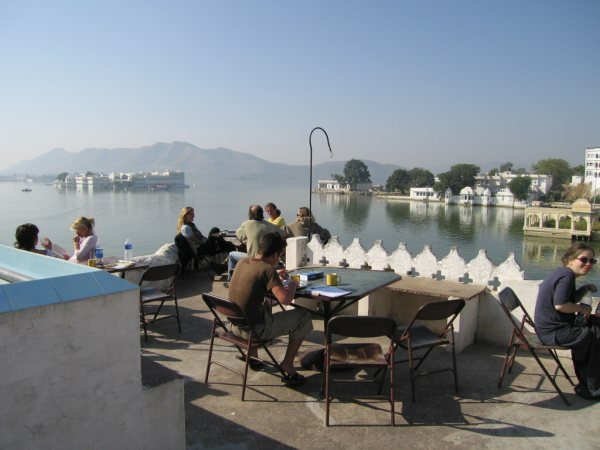 User reviews for "Lalghat Guest House Udaipur"